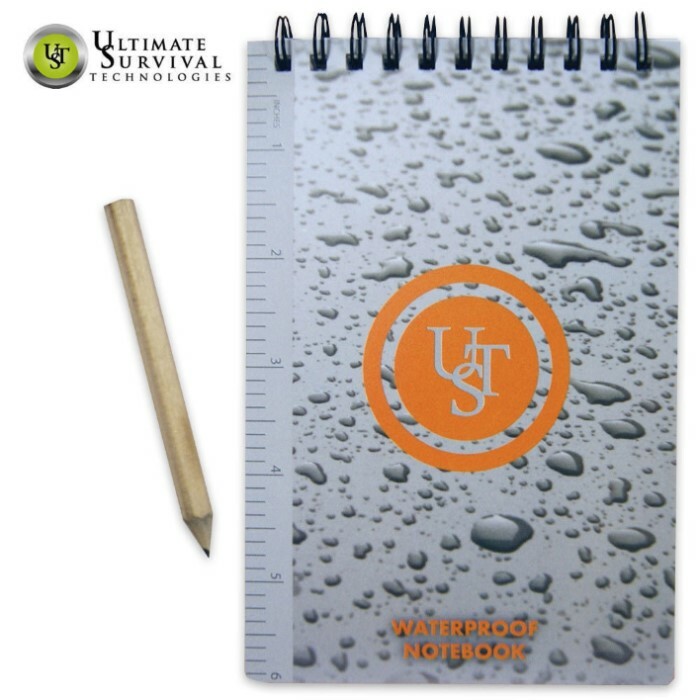 UST Waterproof Paper Notebook | BUDK.com - Knives & Swords At The Lowest Prices! Keep perfect documentation and records even in wet and windy conditions! You don't have to be a meteorologist working in the field to appreciate these high-quality waterproof notebooks. Use them to record your notes in the field, on the golf course, etc. It also features a handy survival essentials checklist on the back cover.